Jostens is proud to be a partner and official provider of class rings for your school. We are excited to offer you a variety of ring designs to meet your needs. Whether traditional or contemporary, we have the right design to celebrate you and your time in high school. The ring is the perfect symbol of your high school achievements & your commitment to graduate. So go ahead, celebrate you! Use the Ring Designer to get a sneak preview of your ring. Test out different designs and options. Even email or text your ring designs to friends and family for feedback. You can buy online if you are ready to pay in full. Or, simply print out your order form from the ring you created and mail it to our office with your $50.00 deposit. We'll set you up on the perfect payment plan for your budget! Contact our office for more interest-free payment plan options. Ring repairs needed? Lost or stolen ring replacement? Please click here to get additional information. New for the Class of 2020! You've customized your jewelry. Now it's time to wrap it all up with one of our keepsake boxes. 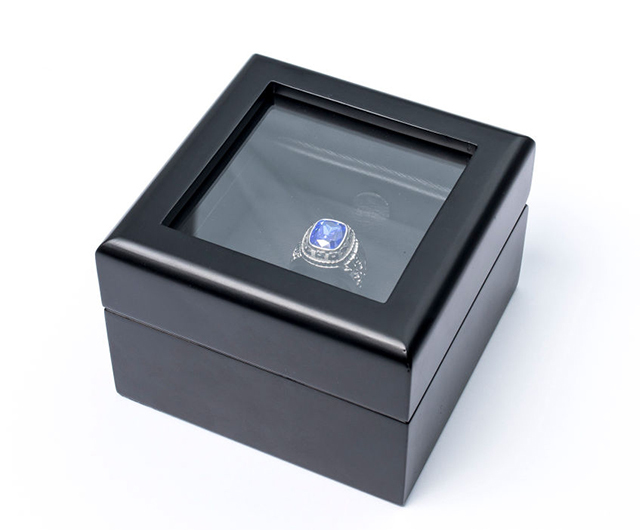 Package it in a beautiful glass-top display box to showcase your jewelry well into the future. Our state of the art magnetic system gives your jewelry an elevated appearance. As you close this chapter and begin a new one, let your keepsake box help preserve and share your memories for years to come. Ask your representative about our money-saving bundle of Extended Ring Protection and a Keepsake Box for $39.99! (Retail price $60).